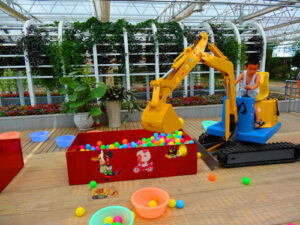 A small new attraction, kids can dig with a real mini-excavator. Kids all loved this! 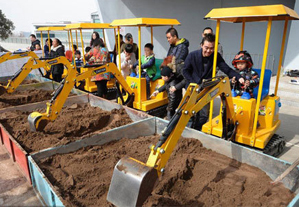 Family rides kids excavator, an unique design for children which is inspired from the large excavator used in building. As more and more interesting amusement rides coming out, psychological experts suggest that we should design some new amusement equipment products which can not only help exercise kids bodies but also develop children intelligence. 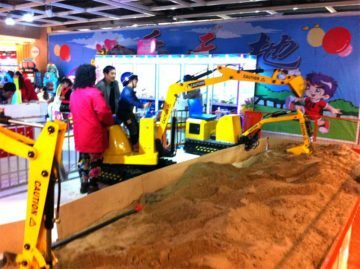 Kids excavator is a family rides not only suitable for kids but also for adults, it can helo cultivate children hands-on brain power. 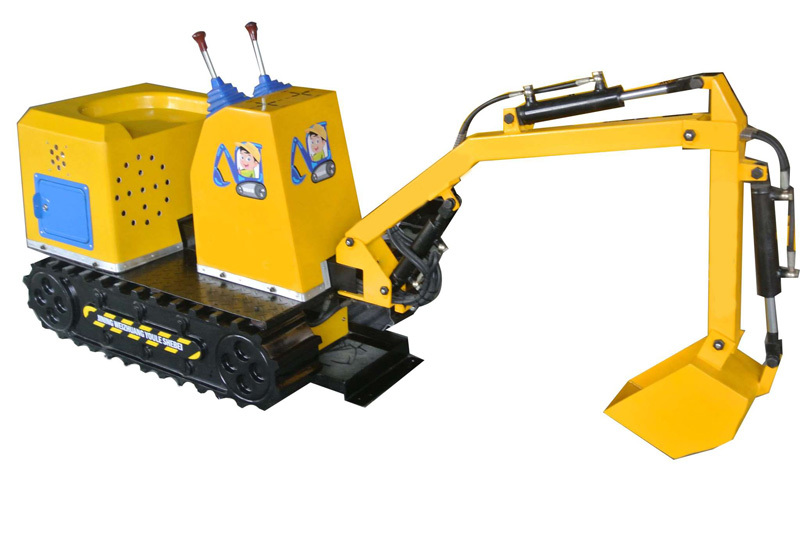 It is made with hydraulic electricity, full simulation. 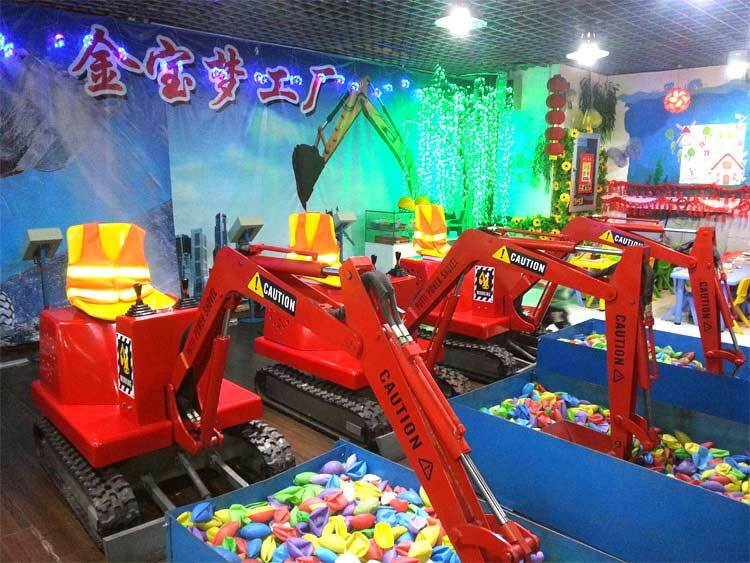 Family rides kids excavator has all the features of the excavator, rotating, hydraulic telescopic boom make the whole equipment easy to operate, which allow the whole family to experience a new amusement equipment rides feeling. Be placed stably, the rollover prevention. Be installed guardrail, prohibit pedestrian walking in the fence. Ban the operation of the children in the unattended condition. Please use leakage protection and wire, three wire power. Should cut off the power long-term disabled. In winter outdoor work should be idle for 10 minutes. Environment temperature at 10-38 °C, not suitable for water splash place. 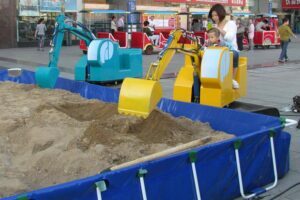 Q: What is your amusement kid digger rides guarantee? A: We can guarantee one year quality. 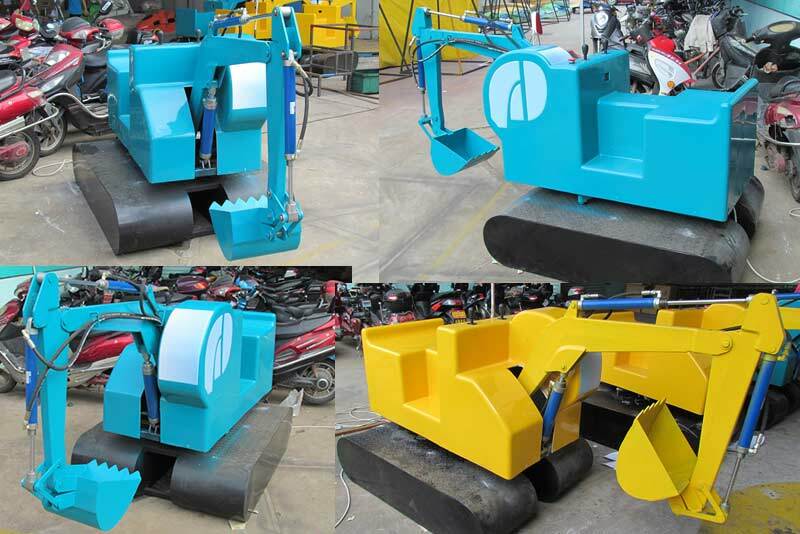 A: Beston group has many years experience of produce amusement rides. Products are exported to Russia, India, USA, Japan etc and are popular in the overseas, which enjoy good reputation.